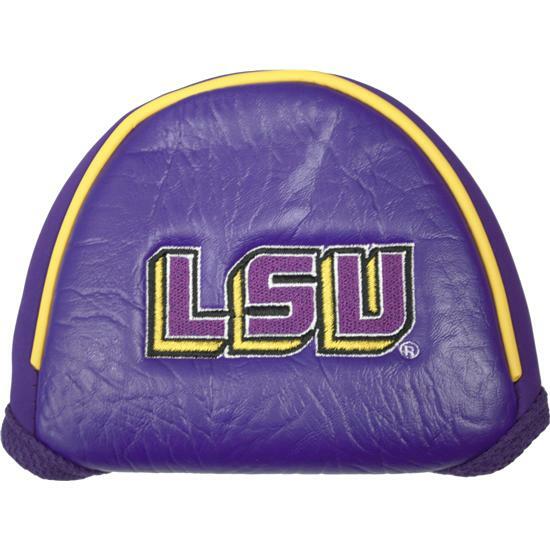 The Team Golf Mallet Putter Cover is a great way to protect your putter while also showing off your favorite college team. The mallet putter cover is designed with the college team's official colors and has embroidery in 2 locations- the top and side. You'll never have to worry about the putter cover slipping as it features a Velcro closure that securely holds it into place. You are about to post a review for Team Golf Mallet Putter Cover - UL Ragin Cajuns based on your knowledge of its playability. This review will show up under all variations of Team Golf Mallet Putter Cover - UL Ragin Cajuns, including new, personalized, and custom logo.